La Mauselaine is an idyllic ski resort in the Vosges region of France. The ski resort was founded in 1908 and has been well loved amongst skiers and snowboarders ever since. With 21 slopes and a bustling, friendly local culture, it is a fantastic location for holidaymakers and those looking to invest in the region. There are just over 9000 residents in this beautiful, historic location. Created in 1285, the Vosges region has long been popular due to its natural beauty. With a series of resorts making up this beautiful location, La Mauselaine is the second largest of the resorts and has a lot to offer visitors and locals alike. Surrounded by the Regional Natural Park of the Ballons of the Vosges, it's an area of extreme natural beauty with many stunning views to take in. As well as skiing, the region offers a range of other fantastic outdoor activities including kayaking. There's also a range of historic landmarks including the chapel Notre-Dame-Du-Calvaire to enjoy. For keen walkers, there is an impressive hiking trek leading from the lake which climbs up to give a panoramic view of the lake and the surrounding area. The trail is suitable for most walkers and is best completed in April when a plethora of daffodils decorate the surrounding fields. Non-skiers needn't worry, there is still a wide range of things to do while visiting this beautiful area! Consider visiting one of the local copper mines for an alternative view of this region's extreme natural beauty. Tours will take you below ground to discover these astonishing mines. For those looking for a touch of luxury during their stay, consider a helicopter ride over Alsace-Lorraine, one of the main players in the First World War and a cornerstone of the tumultuous history of this extraordinary region. For walkers, the options are endless. From the circular lake route to climbing up to Pont des Fees bridge, you are sure to find plenty of challenges and more restful walks in the area. Each walk has amazing views so that you can pause and take in the landscape on your way. The region also has a wide variety of cuisines available, though of course, we would recommend the numerous traditional French restaurants in the town. Le Comtoir Joa and Auberge le Lac are just two of the best French restaurants in the local area. Both offer great dining options so that you can taste the best of the region. La Mauselaine is a family-friendly location where families with young children are welcome. There are lots of opportunities to keep children entertained such as at the observatory where children can climb the steps and view the stars. There are also many local festivals with music and dancing that will be both entertaining and educational for your little ones. As the area continues to develop and grow, it is ripe for investment and buying a property in La Mauselaine offers many options and opportunities. Recently, the resort was revamped with a new J-Bar ski lift, as well as a high-speed 6 person chairlift, providing new and improved access the surrounding pistes and neighbouring resorts, such as La Bresse. Sales of luxury apartments were in the region of 400,000 to 500,000 euros. 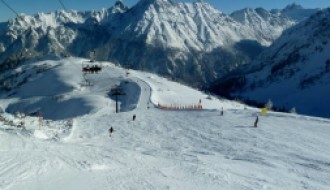 Situated in the heart of the town, they offer access to the natural beauty of the region as well as the amazing slopes. Traditional chalets usually sell for upwards of 600,000 euros and offer a fantastic opportunity for refurbishment and seeing, in time, a strong return on investment. Recently, the resort was revamped with a new J-Bar ski lift, as well as a high-speed 6 person chairlift, providing new and improved access the surrounding resorts. 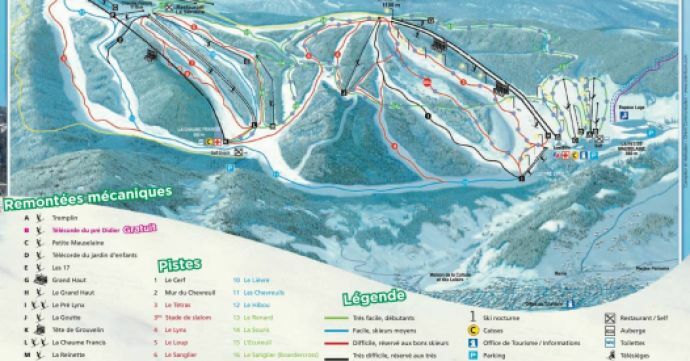 With over 40km of slopes, La Mauselaine is a fantastic choice for skiers and snowboarders. 60% of the slopes are easy, 35% are intermediate and 5% are difficult, making this a great location to learn to ski or develop your skills. 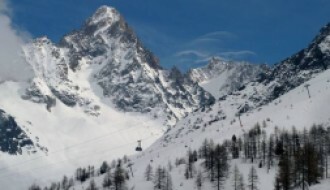 There are 21 runs and 19 ski lifts which are usually in good working order, making this a skier's paradise. 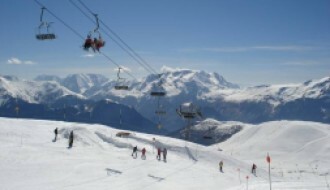 The beginner's ski area was remodelled in 2009 and the car park was extended to allow over 1000 cars at a time. This means that the slopes are well cared for and well planned out for optimal skiing for all visitors. There is also a wide range of cross country skiing available, with an average of 13km of freshly groomed snow each day. Snowfall varies from season to season but on an average day in February you can expect 30cm of snow. For the best skiing, visit between October and April, although throughout the year there will be days when great skiing is available. Stay up-to-date with the latest snow and weather reports with our La Mauselaine resort guide here. There are easy train and flight connections to La Mauselaine from London and most other major European cities. By train from London, you could be in La Mauselaine in less than six hours, while flights will take just a few hours. You could also choose to drive to the region, which is often the transport of choice for skiers wishing to bring their own equipment.